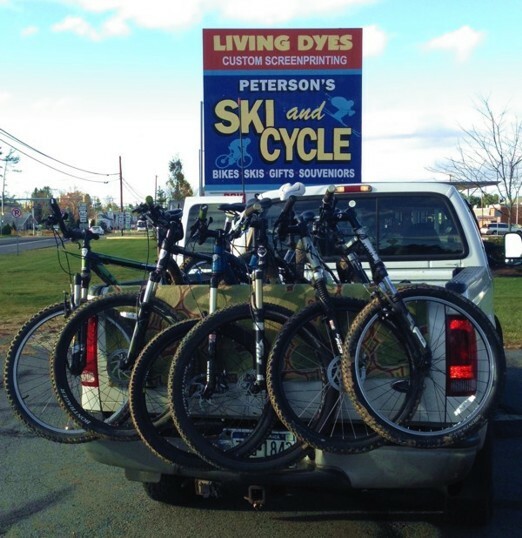 Enjoy the Pocono Great Outdoors on a Bike! Our bicycle rentals are mainly Mt. Bikes and comfort Hybrid Bikes. The rental period is not 24 hours but for the day rented. Customers can however rent (for example) Tuesday and return Wednesday morning within the 1st 1/2 hour of opening without any additional charge. New this year.. Bike Delivery Service. Allow us to deliver the bike(s) to your location within a 10 mile radius of our store for a small fee. Making arrangements ahead of time is suggested but not required. Without prior arrangements we will deliver the bicycles at the first possible opening. A valid credit card is required as a security deposit for bicycles. Pricing is per day, not 24 hours.